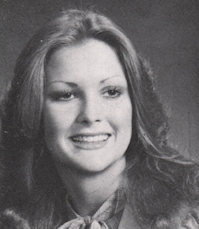 Obituary – Boone, Jana Lynn « Perry High School Alumni Association, Inc. Band 75-79; All Senior Honor Band; Sophomore Class Secretary 76-77; Thespians 77-78. 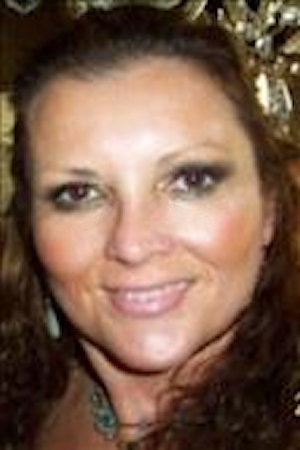 Jana Lynn Boone, age 49, of Tulsa, OK formerly of Perry, OK was born on March 14, 1961 to Norman and Frances (Davison) Boone in Perry, OK and passed from this life to be with her Lord and Savior on June 23, 2010 in Tulsa, OK.
Jana grew up and attended school in Perry graduating in 1979. She went on to college attending Northern Oklahoma College and then Oklahoma State University receiving her degree in Bachelors of Arts. Jana worked at the Cherokee Strip Museum while going to NOC, later moving to Ponca City in 1987. Jana married Bill Boese and then worked for Noble and Kay County D.A.’s offices as a victim witness advocate. She later moved to Ft. Gibson in 1992 and worked for the Muskogee D.A.’s office. In 1994 she moved to Tulsa and worked for DHS in Tulsa County accepting the job of supervisor. Jana was a caring person and a hard worker. The highlights of Jana’s life were her loving family, grandchildren and friends. Another passion that she had was caring for animals in her life. Jana lived her life to the fullest everyday and will be missed by those she loved. Funeral services for Jana are scheduled for 2:00 p.m. Monday, June 28, 2010 at the Calvary Baptist Church with Bro. Roger Dunn officiating. Interment will be in the Grace Hill Cemetery. Services have been entrusted to Perry Funeral Home. Family will greet friends from 1:00 p.m.-6:00 p.m. at the funeral home Sunday, June 27, 2010. She is survived by; Daughters; Cherish Mireles and husband Ramon of Broken Arrow, OK and Brittany Ballew of Tulsa, OK. Parents; Norman and Frances Boone of Perry, OK. Brothers; John Boone and wife Cindy of Perry, OK and Daniel Boone of Stillwater, OK. Grandchildren; Levi, Mariah, Ryder, Alisa, Alexis and Dallas. Grandmother; Anna Davison of Perry, OK.
She was preceded in death by her Brother, Jim Boone in 2005; Grandparents, Cecil and Ila Boone, Clyde Davison. Uncle, Cecil B. Boone, Jr. Aunt, Flora Zell Coker. Memorials can be made to the Child Abuse Network c/o Perry Funeral Home 203 E. Fir, Perry, OK 73077.